We’ve all had that moment when we have been trying to show a video on YouTube to a friend, saying that it is the funniest thing on the internet, only for a mandatory advert to pop up. It ruins the experience and most of the time you will have no interest in what is trying to be sold to you. So why are adverts on the internet still a thing? With Google boasting that adverting on YouTube is more successful than traditional TV advertising, there must be some people clicking on those ads. This is surprising given that most people I have spoken to have some kind of ad-blocker, and even more of us question why we are being targeted with these ads in the first place. In our capitalist society, we are constantly bombarded with adverts, and most of the time it is easy to ignore them. However, many people argue that they shouldn’t have to endure adverts on the internet, where they are considerably harder to ignore. But is this point of view valid? In any other situation we accept that in order to get something we need to pay somehow, so surely the same must be expected on the internet? Another issue is that adverts are often seamlessly added to social media news feeds, so they become very hard to ignore and differentiate from other activity. A quick scroll through my Twitter or Facebook feed brings up several adverts which could easily be mistaken for something a friend has liked or shared. It can be questioned how ethical it is to target consumers without them being fully aware of it. Besides this, the constant bombardment of ads impacts on the experience of using the site. Anyone who uses Tumblr will have experienced the joy that is the ‘Episode’ advert, the pure ridiculousness of these ads blend perfectly into the feed but are so bad you cannot help but comment. As these sites are also used by children, it’s problematic to target adverts to them, as they can’t really make sensible decisions as consumers. In addition, some adverts are simply not appropriate for their age group; for example the standard pregnancy test advert targeted at any woman on the internet. This is the main issue with online advertising – the ability to specifically target people, as information on individuals is so easily available on the internet. We share so many personal details on Facebook that advertisers can use this to put you in a category in order to display more ‘relevant’ adverts. Utilising people’s browsing history to see things that they have previously looked for, as well as picking up on keywords you have posted, helps them to give you ads that you are more likely to click on. This is definitely a violation of user’s privacy; if I have looked for a bra online, I do not need the whole of the library to see the adverts for underwear on the side of my Facebook page when I’m procrastinating. The ability to see the consumer as a complex individual, rather than a general category like traditional advertising, through utilisation of what was believed to be private to only the user can be a deeply unnerving thought. So, should there be restrictions on this type of targeting? Or do users have to accept that nothing they do online will every really be private? On the other hand, we have to accept that sites need revenue to run, and in order to remain a free service advertising provides this without having to charge the user directly. 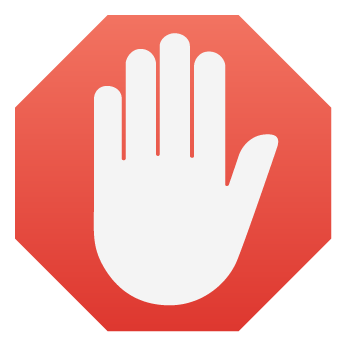 Sites have even started an optional subscription service in order to cut down on the number of ad-blocker users. YouTube Red offers a variety of perks to users, including ad free viewing and exclusive content, which provides Google a steady revenue, which in turn allows content creators to be benefit from income for every view. This is a big advantage for people who make their money making videos on the site, as well as the viewer as it allows for better quality content. And so, adverting must be considered a necessary evil, which we need to learn to live with. We cannot deny that we have all found joy in advertising at times, the annual anticipation of John Lewis releasing their Christmas one springs to mind, or the Old Spice adverts which have sprung numerous parodies online. Maybe, just maybe, we need to find the funny side, whilst maintaining that our right to privacy as consumers should also be respected.